First Cobalt chief executive officer Trent Mell, in a letter to shareholders, has defended the metal’s continuing place as an important component in electric vehicle (EV) production. 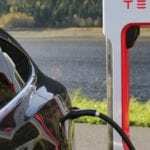 Recently, companies such as Tesla have announced they would be reducing cobalt content in their electric car batteries while increasing nickel content. Cobalt’s rising price (having tripled in 18 months), an evolving battery market, and the metal’s prominence in the high-risk Democratic Republic of Congo (DRC) — which hosts over 50 per cent of the world’s known supply — have been cited as marks against cobalt’s investment potential in the long term. Tesla’s high-profile CEO Elon Musk has been quoted as saying that he believed his company could “[reduce] cobalt to almost nothing” in its car batteries; Tesla’s first Model S, introduced in 2012, uses around 11kg of cobalt per vehicle for example, while last year’s Model 3 uses only 4.5kg. Mell asserted, however, that while cobalt is projected to become less prominent in EVs over time, it will prosper as the industry grows. 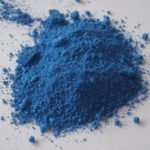 Mell cited statistics from Benchmark Mineral Intelligence stating that cobalt density will decrease by 60 per cent in EVs from 2017-2026, but cobalt demand for EVs will jump by 300 per cent in the same timeframe due to the vehicles’ increasing popularity. 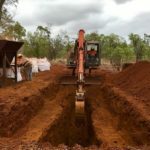 First Cobalt is a recently-formed ‘pure-play’ cobalt company based in Canada but listed on the Australian Securities Exchange (ASX). 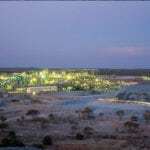 It was formed in 2017 and has secured several companies under its umbrella since then — most recently US Cobalt in a deal worth nearly $150 million — to quickly become one of the world’s largest cobalt miners. “Miners are now playing catch up and success will come to the first movers who have the right team, in the right jurisdiction, with the right assets,” said Mell.